Most people don’t knowingly risk food poisoning by eating expired food, but almost all of us have experienced it at some point. It’s so horrible that we don’t even want to talk about those dark 24 hours spent hovering over the toilet. But at the same time, Americans waste an insane amount of food every year, and part of that is “expired” food that is actually still perfectly fine to eat. Food manufacturers put expiration dates on food to protect themselves in the event that someone becomes sick after eating their product. But that’s not the only reason. Those “Best By” dates usually refer to the range in which the manufacturer thinks their food tastes the best, not when the food becomes unsafe. As consumers, we are taught to trust that the people who prepare our food have our safety at heart. And sure, that’s part of it. But often these companies simply want us to buy more of their products because we felt compelled to throw away perfectly good food. When it comes to what is safe to eat, a little bit of knowledge and common sense goes a long way. 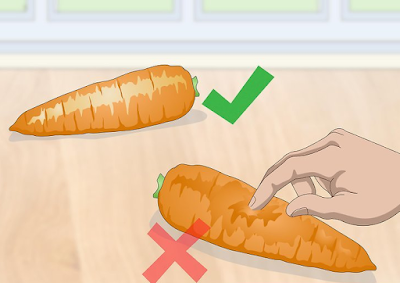 For example, improper handling at any point can actually cause food to go bad before the listed date. We are going to break down some general rules for food safety that you can use to decide whether or not to toss that expired food, including some surprising foods that should always be tossed by the expiration date. Regardless of expiration date, food can go off at any point based on a number of factors. Inadequate refrigeration is a common culprit, and this could have occurred long before you bring the food home. It’s important to learn the warning signs of spoilage so that you can assess the safety of your food, even when you can’t know its whole journey from farm to table. Shelf stable foods are heavily processed to make them last as long as possible. Frozen, canned, or dried goods are most likely okay to eat after the expiration date. You simply need to check for signs of spoilage. Mold is a big one, of course, as is a strong odor. Following are some specific guidelines for popular food items. Fish should smell like fish, right? Actually, when fish is truly fresh, it will smell like the ocean. A slightly sweet and salty aroma is good. But the more powerfully the fish smells of, well, fish, the more likely it is to be bad. Meat that has developed a slimy coating or opalescent sheen has gone off. That coating means bacteria is happily multiplying. However, meat that has greyed slightly isn’t necessarily bad. In fact, that red hue we expect is often only present because the meat has been treated with ammonia. If the can is bulging, it means that the contents have likely been infected with the bacteria responsible for botulism. Never open a bulging can! Dented cans are also best discarded because the dent could have caused a microscopic hole that is letting in oxygen. Potatoes develop a greenish tinge under their skin when exposed to sunlight. This is not healthy to eat, but the potato can still be perfectly safe if you peel off the green part. You should also feel free to simply pry out any eyes that have developed. When a potato has gone bad, the skin will be wrinkly and the texture spongy. Spots of rot may also appear. Fruits and vegetables will begin to develop wrinkly skin when they are going bad. Crisp produce will become rubbery. A slimy coating is also possible. When food has developed what many of us call “freezer burn” it is time to discard it. This indicates that the food likely dipped below freezing at some point and then refroze, or that it was improperly wrapped and exposed to oxygen. Even if you can eat it at this point without getting sick, the texture will be grainy and unpleasant. Certain foods are more prone to spoilage than others. The shelf life of fresh produce and meat is obviously a lot shorter than packaged foods like rice, cereal, chips, and anything dried, canned, or frozen. Following are a few foods that should always be checked for signs of spoilage, even if the expiration date has not yet passed. Fresh strawberries, blueberries, and raspberries are healthy and delicious treats, but they are also prone to something called cyclospora. This parasite starts to make a berry mushy and moldy pretty quickly after it is picked, especially once it is rinsed and remains wet for a time. It’s best to freeze berries if you won’t be able to eat them within a day or two or purchase. Deli meat in particular has a pretty short shelf life because it spends a lot of time exposed to air at the deli counter before you buy it. And as gross as it sounds, much of the fresh raw meat we buy is already contaminated with Salmonella, E. coli, or other bacteria. For safety’s sake, always cook your meat to the appropriate temperature to kill any pathogens. It’s best to discard meat that hasn’t been eaten within 3-5 days of purchase. Soft cheeses are made with unpasteurized milk, which means the potential for Listeria or E. coli. Harder cheeses that have developed mold spots can usually still be eaten if you simply cut away the bad parts. But the toxins in soft cheeses penetrate all the way through the product, even if you can’t see the spores. Eat soft cheeses within 5-7 days of purchase. Sprouts are grown in a warm, moist environment, making them susceptible to bacteria like E. coli and Salmonella. They are notorious for spoiling before the expiration date. If you are immune compromised or pregnant, it’s best to avoid sprouts all together. Healthy people might want to look into growing their own sprouts and eating them directly after cutting. Whether kept whole or pre-cut, leafy greens spend a lot of time wet after harvest. You have surely experienced the mist that rains down on produce at the grocery store; this is important to keep certain veggies from drying out, but it also reduces the food’s shelf life. To avoid E. coli, never eat greens that have become slimy, no matter the expiration date. So what happens if you eat expired food? There is no one answer to this question. Honestly, it could be nothing as the food is still perfectly good. But food that is actually spoiled will cause a host of painful symptoms, including nausea, diarrhea, and vomiting. People who have compromised immune systems or are pregnant are at greater risk, and death can occur in some cases of food poisoning. As long as you are aware of the signs of spoilage and err on the side of caution when it comes to fresh food, you don’t have to worry too much about the expiration date. It won’t tell you if the food has been properly handled, anyway.